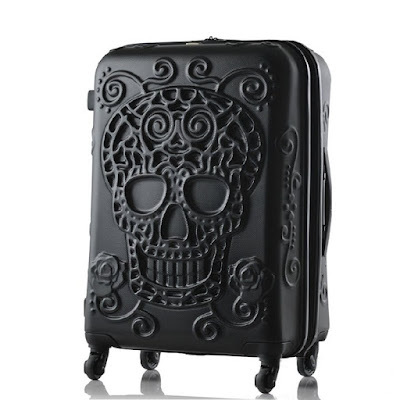 Before the sugar skull craze starts to die, I want to have an El Dia de los Muertos themed Halloween party. I love how colorful everything is and slightly sinister. The best way start off a party is a good welcome! 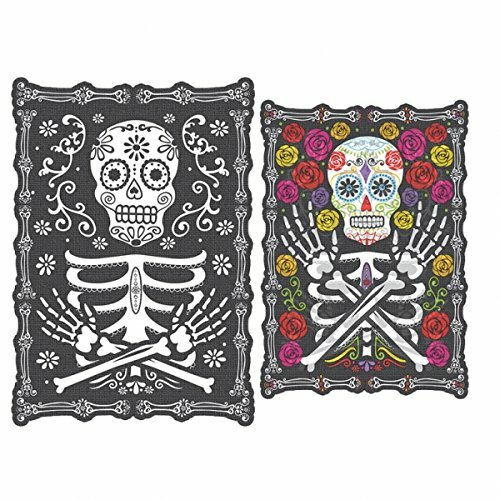 Check out these Day of the Dead signs by Amscan. I'm really enjoying this Day of the Dead lenticular sign decoration. I can already see myself being completely enthralled with it. I would pace back and forth just to see it change from colorful to black and white. 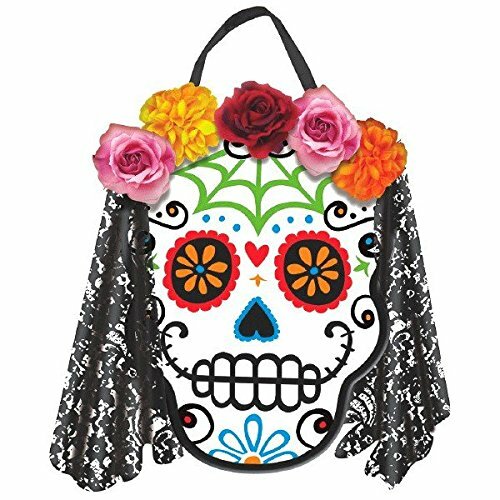 This Day of The Dead hanging decoration would be very convenient for your El Dia de los Muertos themed Halloween party! It's simple and vibrant which I particularly enjoy. You could even hang this on your front door to greet your guests! I would hang this bride sugar skull sign on one of my barren walls. 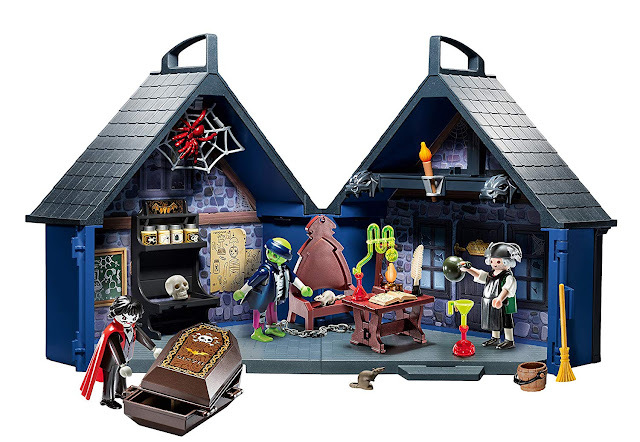 It'll liven up the house a little bit and get everyone in the Halloween mood. The flowers lining the skull make this sign look incredibly elegant! 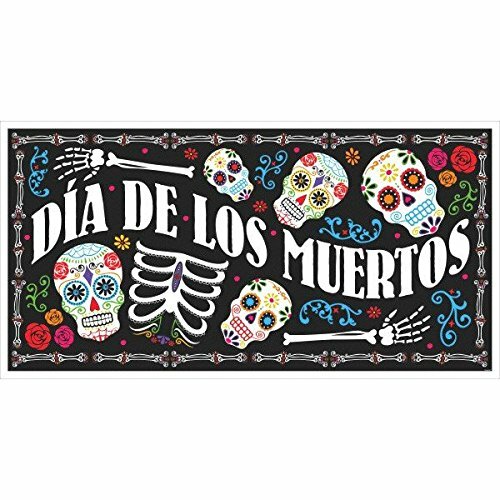 If you're looking for a huge El Dia de los Muertos sign, this is a fantastic option! The variety of colors is amazing. It would be cool to hang this along your grand entryway. Or along a table where you're setting up all your snacks and drinks. Who doesn't love a bit of glitter on this wonderful holiday? 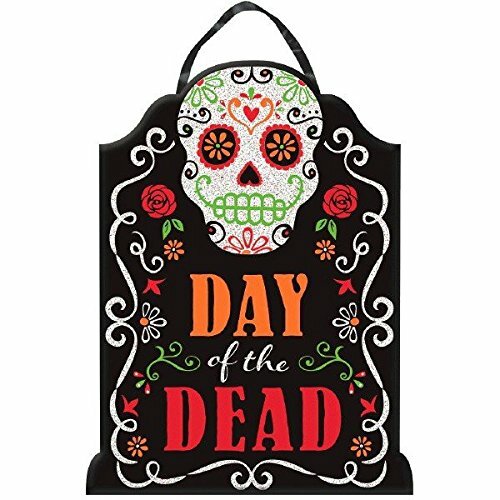 This Day Of The Dead glitter sign will jazz up your home! Aside from the glitter, I definitely like the delightfully dark colors used. 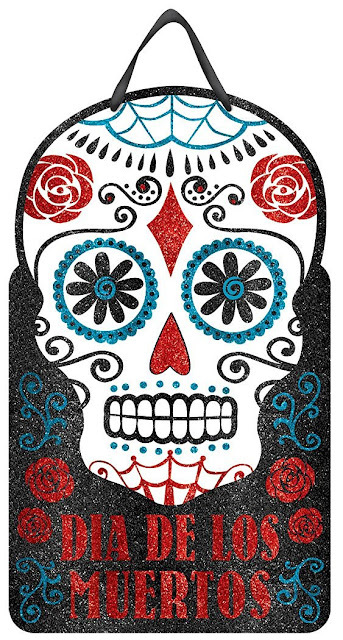 What do you think about these Day of the Dead signs by Amscan? They have spooky, fun, and colorful elements that go well with any kind of Halloween party you want to have! Make sure to comment below and let me know what you think of these signs!